Oh the disappointment this box was! 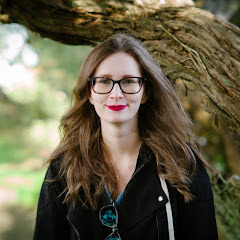 I've been dreading writing this post and that's why it's more than a month late. 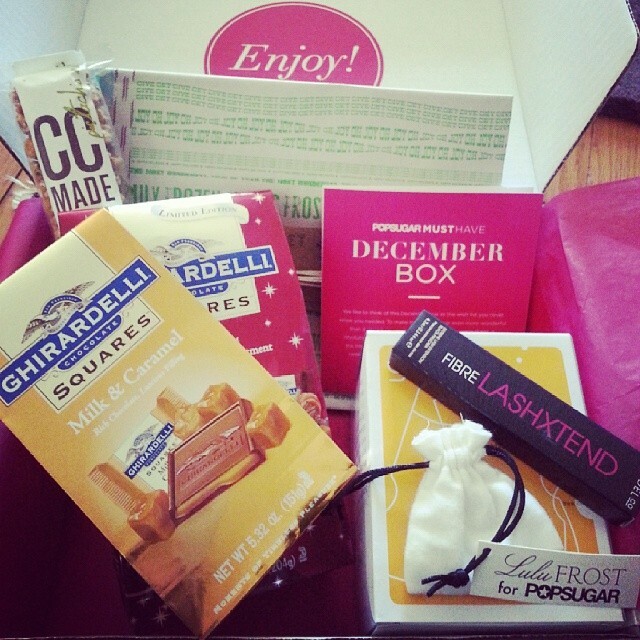 Alas the time has come to talk about this major fail of a box that was the December 2013 POPSUGAR Must Have box. As many of you know I've been a supporter of this box for quite some time and have been generally pleased with it until these last few months. The price of the box was raised and the two boxes that followed (November and December) just were not worth the price point. The items in this box were not unique fun or even interesting. This is the box that has caused me to finally cancel my subscription with POPSUGAR Must Have. I'm going to try to do this quick like ripping off a bandage, lets get on with it! This bracelet which I didn't have a chance to photograph has a gold chain and silver charm on it. You can see it here on the POPSUGAR reveal blog. My problem with this piece is again it's mostly gold, every piece of jewelry POPSUGAR sent out in 2013 was gold. Enough with the gold! (end rant) Also on the back of the charm it was engraved with a advertisement reading Lulu Frost for POPSUGAR. No I'm not going to be a walking billboard. These are just sad little plastic cups shaped like champagne flutes. I can see how some people would like them but they seriously look just like a clear plastic bottle. I will never use these as they look cheap and tacky. This was the one useful item in this box that I actually used. The mascara is just okay though nothing to write home about. This paper was very thin and not big enough to wrap a clothing gift box. It ripped during wrapping and I had to throw it away. Translation this wrapping paper was useless, thanks POPSUGAR. These are more like nail stickers than nail wraps. I do not like these they fit onto my nail funny they are not big enough to cover the whole nail. Sigh this box has three food items and while I dont so much mind food for the price point they should have sent something that was at least unique. I actually gifted this away so I cannot comment on it's taste. These were good but when I can pick them up at the grocery store for $2 they are not a must have. I did not do a MSRP box total for this one, just looking at the items I can tell it was just barely scrapping by the promised $100 MSRP value. Farewell POPSUGAR Must Have, I hope in future boxes you go back to bringing your customer new and unique must have items. What are you thoughts on the December 2013 Must Have box? I'm with you. I would have been livid with this box. I canceled a while back and I haven't regretted the decision once after seeing each month's box. Such a disappointment! I've never subscribed and after seeing this I will most likely pass.